Recently I learned that I was using my electric toothbrush wrong. It came in three signs…tooth pain at first, then a filling fell out, then I noticed my perfectly straight teeth were seemingly moving. In another article we’ll look at the right way to brush with an electric tooth brush but in this article lets explore how to temporarily repair the damage left after jackhammering your teeth. Fillings aren’t necessarily meant to be forever. Gold fillings last the longest, anywhere from 15 to 30 years. Silver amalgam fillings can last from 10 to 15 years before they need to be replaced. Composite resin fillings don’t last as long. You may need to replace them every five to seven years. 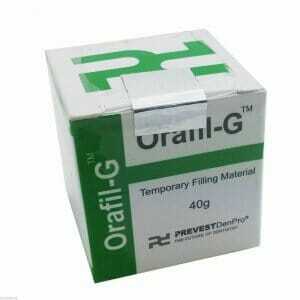 For less than $15 and available in many local drug stores or on Amazon you can get temporary dental fillings. First things first, rinse the area with warm salt water to flush it out and make sure there is no debris that may be causing the discomfort, Howley says. Traditional over-the-counter pain relievers such as aspirin, acetaminophen(Tylenol), and Ibuprofen (Motrin, Advil, Nuprin) may also help curb the pain. “If the pain is due to the underlying layer of your teeth — the dentin — becoming exposed, you want to cover the area with sugar free gum or wax,” he says. Some drug stores sell kits with material to plug up the exposed area. But, he cautions, such do-it-yourself sealants are usually only good for 48 hours. “Get to the dentist as soon as possible.” If you should fall and break or chip a tooth, cover the exposed area in the same manner, he says. And don’t fret if you swallow it because 99% of time it will pass uneventfully. If a filling falls out, try and keep the lost piece to show your dentist. It’s also important to keep the tooth clean by brushing gently with toothpaste and lukewarm water and to avoid eating in this area. “There are temporary restorative materials that contain zinc oxide that are sold over-the-counter that can plug up the hole until you see the dentist,” says Warren Scherer, DDS, the chairman of the department of general dentistry and management science at New York University College of Dentistry in New York City. Two such products include Temparin and Dentemp OS. These products are the same as those that can be used to cover an exposed tooth surface. A missing filling on the left is replaced on the right picture. Howley agrees. “If there is swelling and bleeding around the gums, see a dentist as soon as possible because it may indicate something more serious,” he says. “You may need antibiotics, or if there is an abscess, you may need to have it drained.” This was exactly the case with my recent dental emergency. If you can’t quite put your finger on the pain (literally or figuratively), go through a mental checklist to identify the culprit. “Is it a missing filling? A broken tooth? If so, you could try aspirin or ibuprofen. Is it gum related? If so, topical ointments may work,” Howley says.